Happy Halloween! I’m in serious disbelief that Halloween is here and October is already coming to an end. This means that Fall fashion is in full swing though, and today I wanted to share the items that I’m currently craving. Everything that I’m sharing in today’s round-up is from Target which is hands down one of my favorite places to shop (I just love a good deal)! 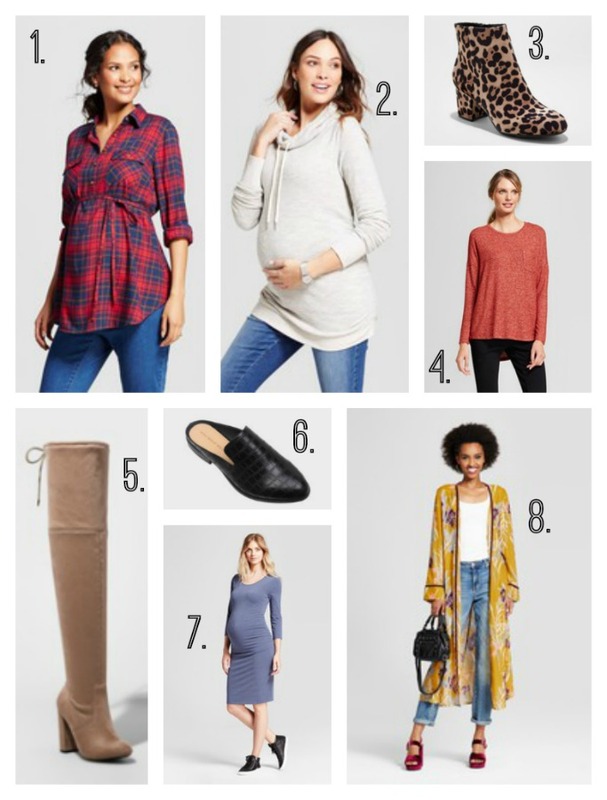 I picked out some maternity and non-maternity items that I’m loving so there’s a little something for everybody and everything is under $40 which is an added bonus! My favorite item is definitely these over the knee boots! I picked up my first pair of over the knee boots at Target last here which I mentioned last week here. 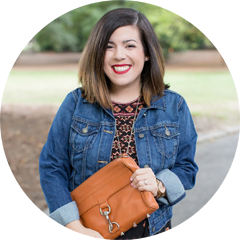 I was really hesitant to try them because I’m only 5’1″, but I ended up loving them on me and wore them so many times last Fall and Winter. If you haven’t tried over the knee boots, Target is a great place to pick up a pair because you won’t be spending a lot on them! The other item that I really love is this maternity plaid flannel shirt. I love wearing a casual plaid flannel shirt during the Fall with a pair of riding boots, and I’m loving this maternity option with the tie around the waist to accentuate your bump. Just a side note: other than PinkBlush, Target has definitely been my go-to place for maternity clothes because of their selection of both trendy and classic pieces, and their affordable price tags. Which is your favorite, and what are you currently craving? There are SO many good things at Target right now!! I love their new line A New Day. And the Who What Wear collection is always great. Love all of your picks! So many cute items! I need that yellow kimono! I have about 20 items in my cart right now from Target. Oopsies!